Why Is Sugar Bad for Diarrhea? Whether you develop diarrhea as the result of a virus, food poisoning, food allergy or other health-related condition, proper treatment is crucial to prevent complications such as dehydration. While sugar is an essential carbohydrate that fuels every cell in your body, it is not always a friend when you have diarrhea. It is a common misconception that water alone is a remedy for dehydration. In reality, when you have diarrhea, sugar plays an important role in rehydration. The World Health Organization explains that an effective oral rehydration solution contains not only water but also salt and sugar, which helps replace necessary nutrients lost to diarrhea. An oral rehydration solution that contains water, salt and sugar is effective in 80 percent of dehydration cases that involve diarrhea. Although sugar is an important part of the rehydration process when you have diarrhea, too much -- dilutions containing more than 3 percent sugar -- can make your diarrhea symptoms worse. According to Brown University, a dilution of approximately 1 quart of water, 1 tsp. of salt and 8 tsp. of sugar is adequate for rehydration. Adding more sugar to the dilution produces an osmotic effect in the colon. During this osmosis, your colon draws in excess amounts of water, softening stool and exacerbating the diarrhea condition. Soda and fruit juice should never be options for remedying hydration that results from diarrhea. The sugar content in soda and fruit juice is too high and only exacerbates the condition. According to New York University Langone Medical Center, aside from too much sugar, soda and fruit juice are not providers of electrolytes, which are essential to rehydration. Sports drinks, however, contain just the right ratio of sugar and electrolytes to rehydrate without worsening the diarrhea condition. If you are prone to diarrhea, skip low-calorie sweeteners. 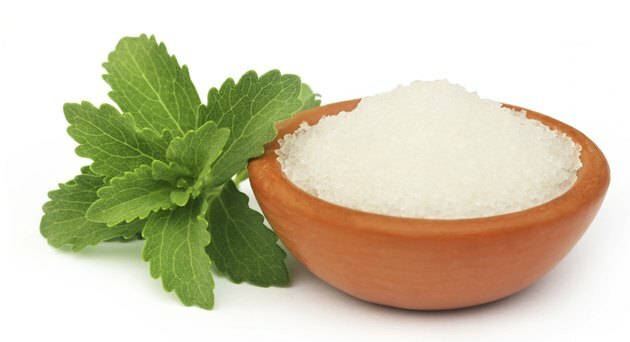 According to Harvard Medical School erythritol, D-tagatose, sorbitol, mannitol and xylitol are all between 50 and 92 percent sweeter than ordinary table sugar -- this sweetness may come with a price if you are sensitive to sugar alcohols. Harvard Medical School explains that these sweeteners may cause gas and diarrhea. Because your intestines absorb sugar alcohol slowly and incompletely, if you already have diarrhea, the use of low-calorie sweeteners can aggravate your condition. Salt or Sugar Water for Diarrhea?